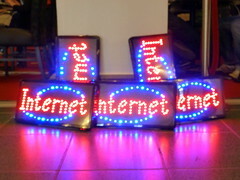 The internet is undoubtedly an essential tool for many industries. More and more people of all generations are using the internet to research, buy things and to look for and compare services. This is why it is so important to make sure your Company is properly represented online. Getting your ethos and your message across properly should result in more clients. The internet gives you access to a huge audience waiting for you to connect with them and offer them your product or service. This is where a web copywriter comes in. The web copywriter’s first job is to get to grips with your Company, product or service (or in some cases all three). They then identify your target audience and begin researching to help inform their copy. Their job is to capture the reader’s attention and get your message across quickly and concisely. Internet users won’t spend hours navigating your website or working out what you are trying to say, so make sure it’s clear and to the point. What’s more, readers should enjoy reading your website and learning about your Company. It should be easy for potential customers to contact you and, above all, the copy should be informative. Remember, copywriting is all about getting (and maintaining) the attention of people – not just in a virtual sense. People are swayed by their emotions so your copy should strike a chord with them. You can do this by providing case studies, making the language accessible and friendly or being anecdotal. Stories are inspiring. Facts and statistics are interesting, but they don’t necessarily lead to custom on their own. People need to feel that by engaging with your Company or by buying your product they will be better off.